What do you need printing? Do you have print ready artwork? Can we help you in any other ways? 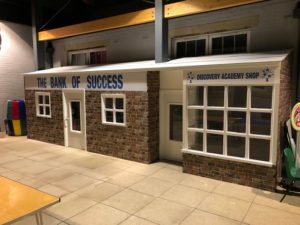 The team at Print Solutions Peterborough have just installed the final pieces of signage to finish off a school bank and shop initiative at Discovery Primary School, Peterborough. 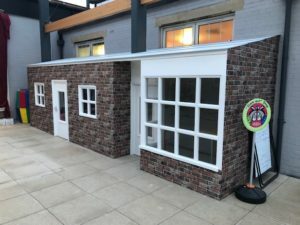 School shopfront all finished and ready for opening day! The work involved two big bold fascia panels for the shop fronts for the children to engage with. The work was printed out using our Roland large format printer and was designed, surveyed and installed by us to fit in line with the final stages of construction. You must be looking for something different. © 2017 All Rights Reserved by Print Solutions (Peterborough) Ltd.